ULTRON, a well- known sports apparel brand amongst the sports enthusiast in and around the country and its neighbouring country since 2015 is organizing a first-of-its-kind yoga event in Malaysia for the second consecutive year named the ‘Ultron Yoga Marathon 2017- Yoga In A Balloon Igloo” on July 30th 2017 at the concourse of Glo Damansara. 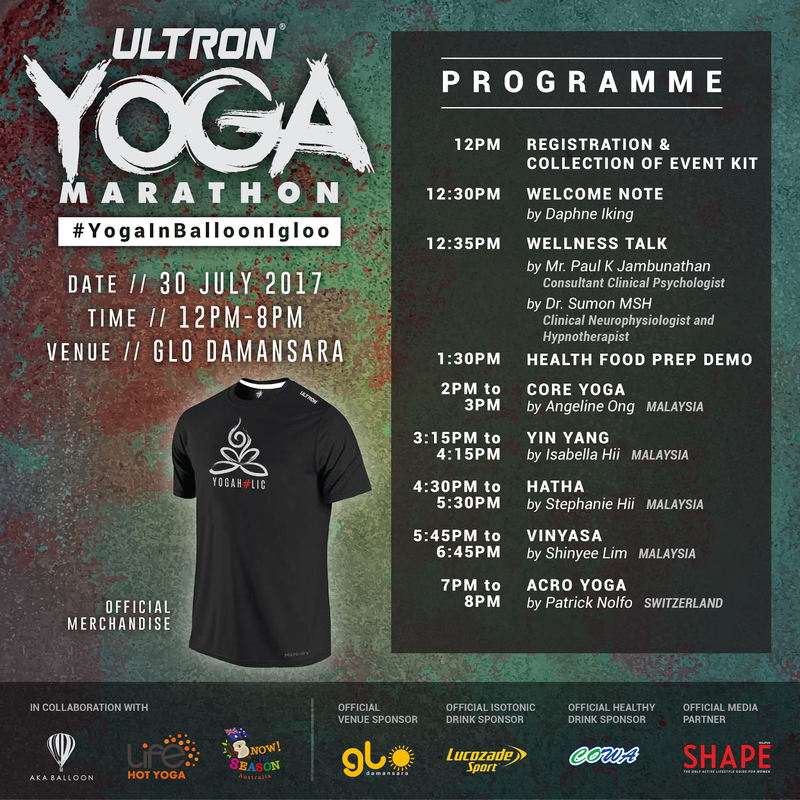 In collaboration with AKA Balloon (organizers of the annual International Putrajaya Hot Air Balloon Fiesta), the back-to-back 5-hour yoga session will be conducted in a cold-inflated balloon igloo which is made of the same material as a hot air balloon to create a zen-like ambience that is one-of-a-kind. 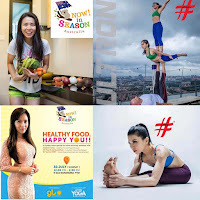 ￼The event will feature Yoga Master and Ultron International Brand Ambassador Patrick Nolfo from Switzerland, Yoga Instructor and; Ultron brand ambassador Angeline Ong (Malaysia) together with notable local Yoga Instructors from Life Hot Yoga Isabella ￼Hii, Stephanie Hii and ShinYee. 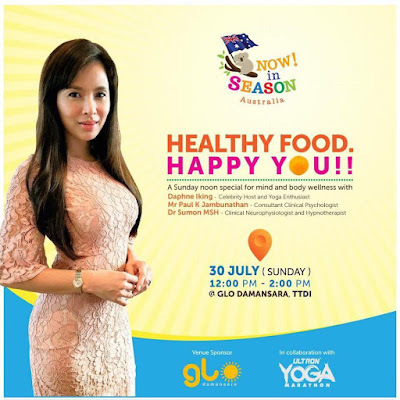 Also collaborating with the ‘Now in Season Australia’ campaign by the Victorian Government of Australia, there would be a Health Food Preparation Demo using Australian seasonal produce and Wellness Talk by experts Mr Paul K Jambunathan (consultant clinical psychology) and Dr Sumon MSH (Clinical Neurophysiologist and Hypnotherapist) hosted by local celebrity Daphne Iking. 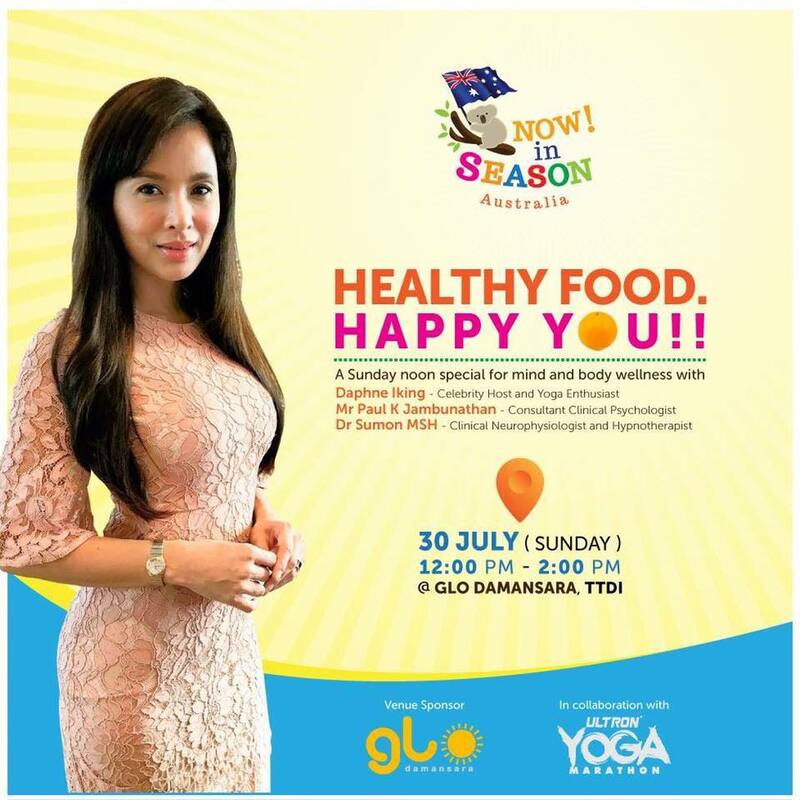 The event is scheduled to commence at 12pm and end at 8pm and would expect to see 200 yoga enthusiast coming together for the event. Event sponsors Lucozade (Official Isotonic Drink), COWA (Official Coconut Water) and SHAPE (Office Media Partner) will be giving out gifts and samplings to all participants. 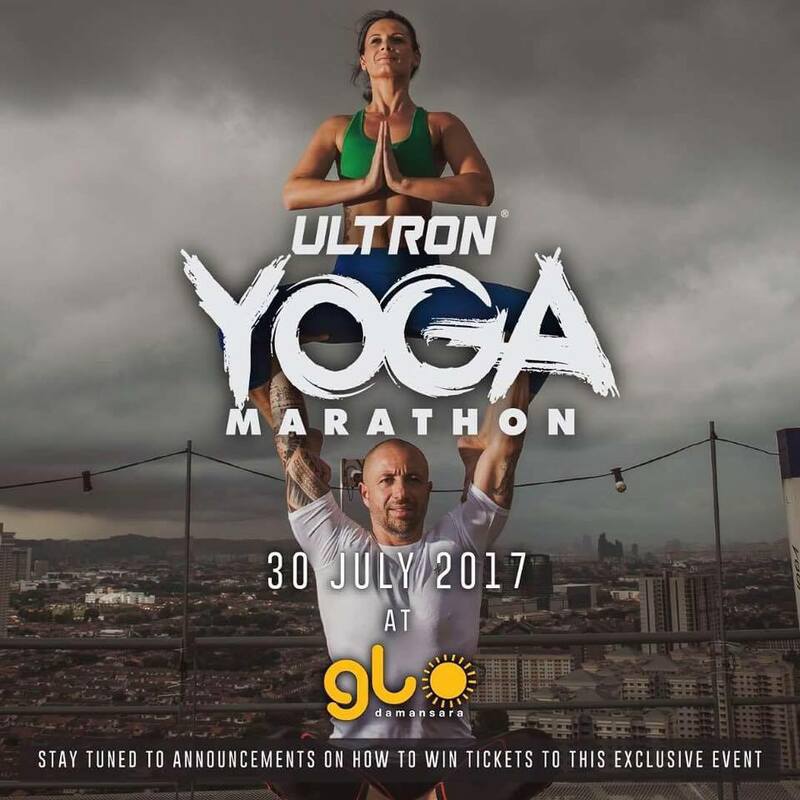 ￼ULTRON is a leading home-grown sportswear brand which targets consumers who participate in general sports and is a well-known brand in the ultra, running and trail industry. ￼Officially launched in 2015, the company swiftly made an impact in the Malaysian sports scene with strategic collaborations with more than 500 sporting events to date, ￼ranging from National, State to Community level. 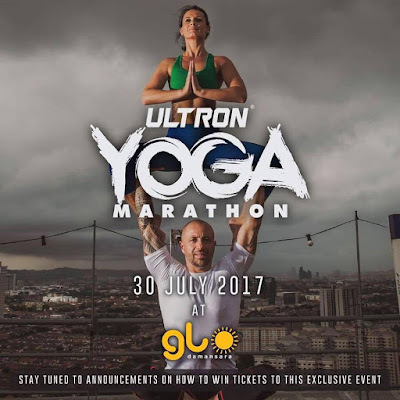 ULTRON with its official slogan 'Change The Game' aspires to revolutionise the Malaysian sporting market by introducing superior quality sports apparels, designed and produced in Malaysia whilst making it affordable for all Malaysians in line with the rising awareness of the fitness and sports in the country. ￼ULTRON's signature Micro-dry material offers one of the most lightweight 100% synthetic fibre fabrication among the sportswear labels to date and have been the favourite among many athletes, both amateurs and professionals.